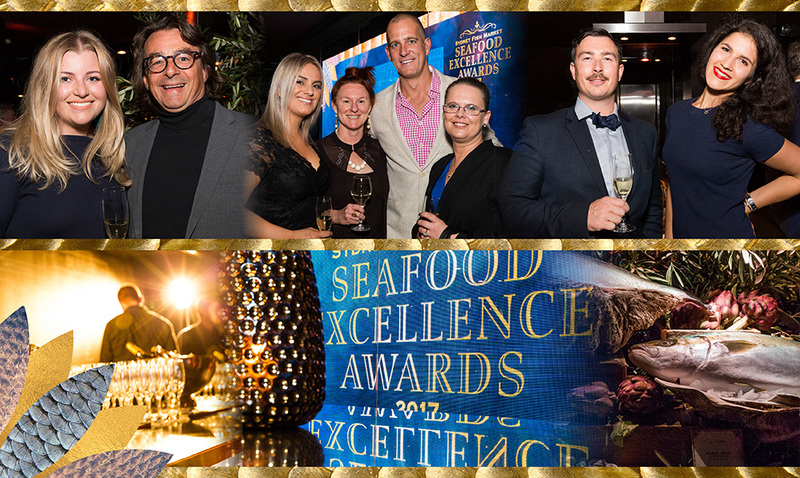 The Sydney Fish Market Seafood Excellence Awards recognise and reward the seafood industry’s top achievers across ten key categories. Held biannually since 1996, the Sydney Fish Market Seafood Excellence Awards showcase the Australian seafood industry, its value to the national economy, its professionalism, and its commitment to supplying some of the finest seafood in the world to local, national and international markets. The 2017 Sydney Fish Market Seafood Excellence Awards were held in Sydney Seafood School on Thursday 20 July. This exclusive, invitation only evening is the premier seafood event in New South Wales, welcomed the industry’s top players, including commercial fishers and aquaculturists, retailers, exporters, wholesalers, restaurateurs as well as key government and environmental agencies, media, and gastronomes. Congratulations to all of our finalists and thankyou to all of our sponsors.